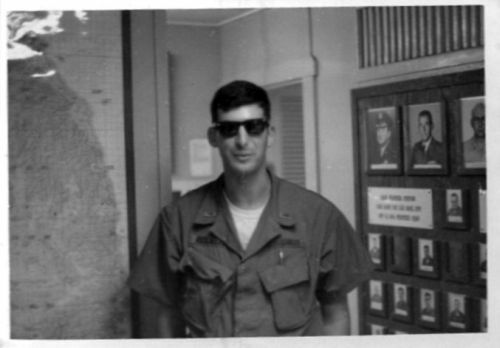 After posting Captain Joel Rosenbaum’s essay in the Five Simple Words project, Medic asked him to further write about his job forecasting weather in Vietnam. The climate of Vietnam is monsoonal: a rainy season with frequent and heavy downpours; a dry season of unbearable heat. 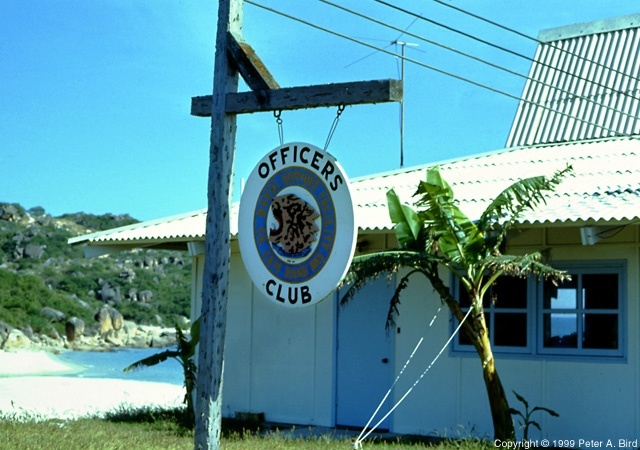 In 1968, while serving with Air Force Detachment 18, 30th Weather Squadron, I was the chief weather forecast officer at Cam Ranh Bay. 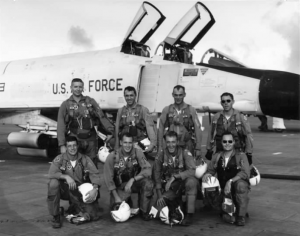 Each morning, just after sunrise, after a quick breakfast, I would help the duty forecaster prepare individual briefings for the scheduled F-4 Phantom fighter missions. 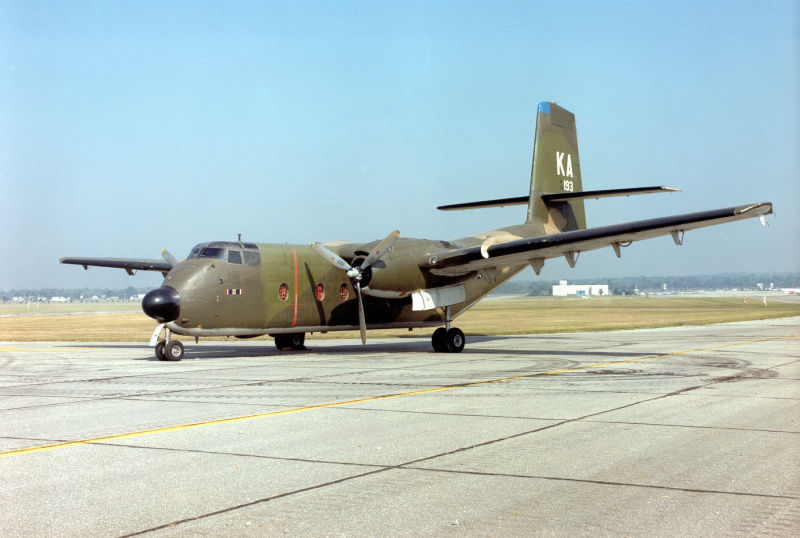 Each crew, depending on their target, received an individual briefing as to takeoff weather, weather over the target, winds over the target, general weather conditions over South Vietnam, recovery weather at Cam Ranh Bay, as well as forecasts for alternate landing sites in case of marginal weather or damaged aircraft. Most of the target data came out of Air Force weather centrals in Saigon, which had for security clearance for classified data from a secret and highly sophisticated weather satellite, as well as CIA sources. The 12th TAC Fighter Wing at Cam Ranh Bay kept several F-4 Phantoms on twenty-four hour alert. These jets could be scrambled to help Army infantry who needed quick additional firepower. We constantly updated weather forecasts for these specific jets. 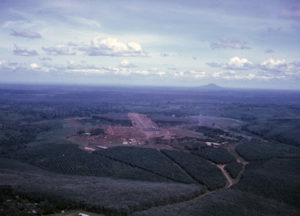 In addition, we continually monitored hourly weather reports from Air Force and Army airfields throughout Vietnam. 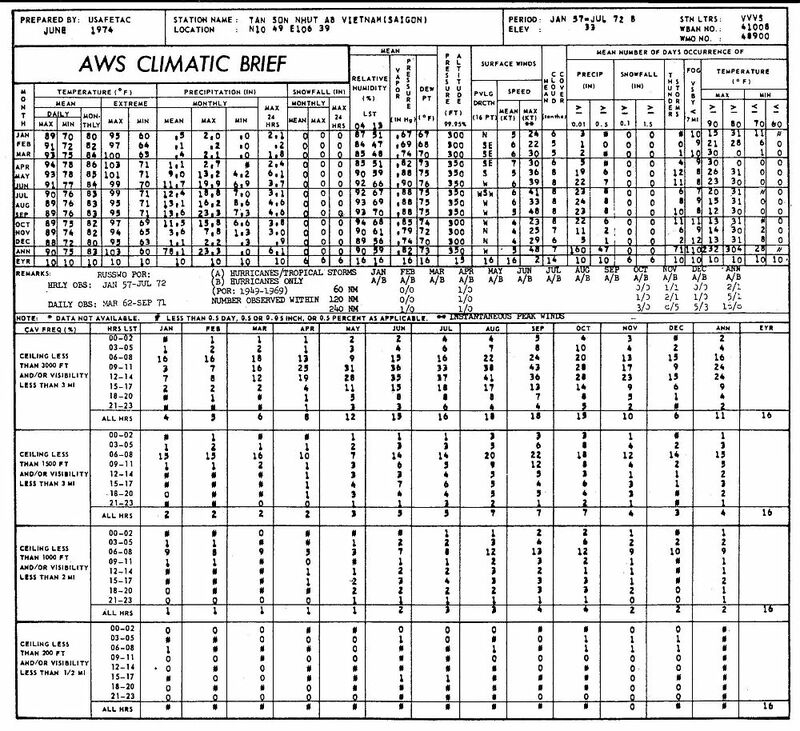 About every three hours we received updated weather charts from weather centrals for various levels of the atmosphere, and displayed them in the weather station. Approaching thunderstorms required us to phone warnings to selected units. Around 11am a Red Cross volunteer, aka one of the‘Donut Dollies’ would arrive to record the daily Cam Ranh Bay forecast on our automatic local forecast phone. After she finished, I would help handle phone requests for weather briefings from charter airlines, and R&R flights to Darwin, Australia, Hawaii, Japan, Bangkok, Hong Kong and Taipei. Pan Am flew these routes, and did so at cost, refusing to make a profit on those flights. Some of the phone weather briefing requests I took were from callers with thick Vietnamese accents. I often wondered if they were Viet Cong, or VC sympathizers. A rumor out of Danang had it that a Vietnamese individual called every day for a wind speed and direction forecast. Strangely, these calls were always followed by an accurate rocket or mortar attack. One day the forecaster gave the caller the wrong wind data by mistake and that day the attack was way off the mark. After breaking for lunch, I prepared for the late afternoon briefing of the 12 TAC Fighter Wing. 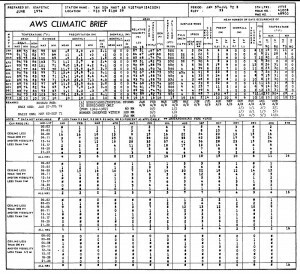 This consisted of surface weather charts and weather outlooks for the next twenty-four hours over Southeast Asia, and weather forecasts for all Air Force bases in Vietnam, as well as the Marine Air Base at Chu Lai. The briefing also included several movies of the previous days air strikes, briefings by the intelligence, supply and maintenance officers, and weather and other concerns of the 12th TAC Fighter Wing commanding officer. Afterward, I worked on forecaster schedules until the work day ended. Among the many pilots I briefed was Colonel Robert Rushworth, who had once flown the experimental X-15. 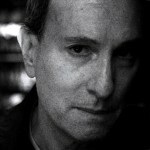 An exceptionally calm individual, I watched him land an F-4 Phantom with its landing gear shot up. 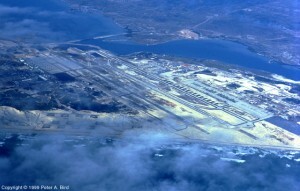 Other pilots would have bailed out, but after crews sprayed the runway with foam, the colonel landed without incident. I could forecast thunderstorms, or heavy turbulence and ice, but Col Rushworth would not flinch. “Thank you lieutenant,” he would say, and buckling himself in, off he flew. Usually we worked six days on one day off, with rotating shifts. With shortages or severe weather, double shifts. I often stayed late to relieve an NCO forecaster, who would then buy dinner for himself and the on duty weather observer. His alternative was the dread in-flight box lunch, with its rubber chicken leg, and ham and cheese sandwich. I had eaten a few of those, and after the war, I could not eat chicken for years. I didn’t have much in the way of free time, so when I had it, I used it keep up with my weather diary, review old weather records to improve our forecast accuracy, and visit the small but pleasant base library, run by a pretty Vietnamese girl. Reading the overseas editions of the New York Times and Time magazine, I noticed the war reporting was quite different from Stars and Stripes. In the spring of 1969 our weather detachment had a surprise visit from a special Air Force weapons team flown in from Kirkland AFB, New Mexico. They came to show us films and to explain our role in a new type of bomb and delivery system. In Project Commando Vault, a ten thousand pound bomb, originally built for the B-36 bomber, would be dropped by parachute from a C-130 fixed wing, to create an instant landing zone for choppers. The BLU 82, Daisy Cutter as it came to be known, exploded like an atomic bomb. 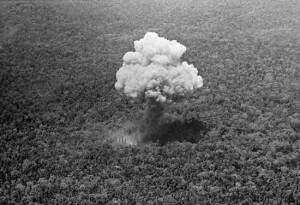 When the immense smoke cloud and fire ball cleared, the trees and jungle had vanished; what remained was a desolate flat clearing large enough to land two choppers. 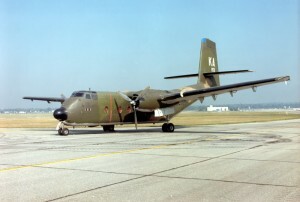 Since Commando Vault operations flew out of Cam Ranh Bay, weather forecasters, in addition to base weather and target weather, provided the C 130 crews with air density calculations and estimated target winds. The C-130s flew these missions in the morning and cargo missions in the afternoon. The Army loved the Daisy Cutters of Project Commando Vault. In addition to making an instant LZ, it killed any bad guys within a one mile radius. The bombs were soon increased from ten thousand to fifteen thousand pounds, and dropped from an altitude out of range of anti-aircraft fire and hand held missiles. Commando Vault was credited with helping lift the 1972 siege of An Loc. There were moments of surreal levity at Cam Ranh Bay. A few months before I arrived weather observers played a prank which resulted in base wide total panic. 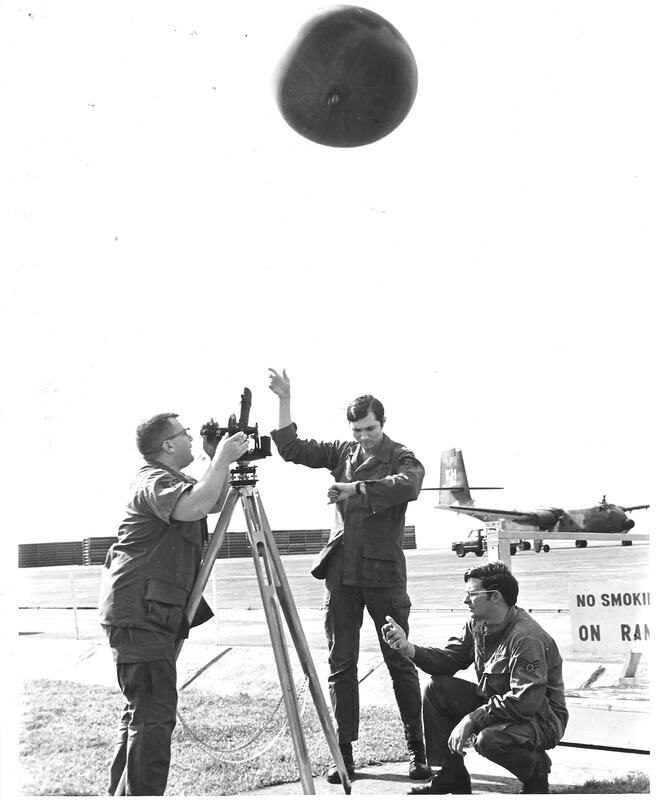 Here is how it happened: ordinarily, to measure the upper level night wind, a small flashlight was attached to a helium weather balloon; its movement was measured by a theodolite, a survey telescope used to determine angles. But on that night the airmen put the flashlight inside the balloon, so it appeared to be lighted ball. As the balloon slowly rose into the night sky, it looked like a UFO, or was it a lethal VC device? Fear and panic swept over the base. Men hid in bunkers from the approaching apocalypse. The base anti-aircraft missiles were activated. The pranksters NCOIC, upon learning what was happening, immediately called the command post, telling them it was only an experimental weather balloon. Moments later, launch orders for the anti aircraft missiles were withdrawn. 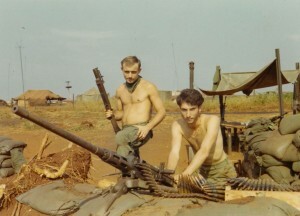 The next day, the NCOIC chewed out the men who’d put Cam Ranh Bay on high alert. 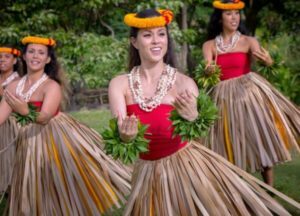 One of my most emotionally painful experiences was arriving and departing Hawaii on R&R. I flew my girlfriend out from Chicago. As we met and embraced, a chaplain called aside a few women whose husbands or boyfriends had not shown up. Either they were wounded, MIA or killed in action. It was heart breaking. A week later, anticipating a similar event on the return flight, I got my girlfriend on an early plane. It didn’t matter. As boarding time approached there was a lot of crying, and not just wives, but entire families. That scene haunts me to this day. 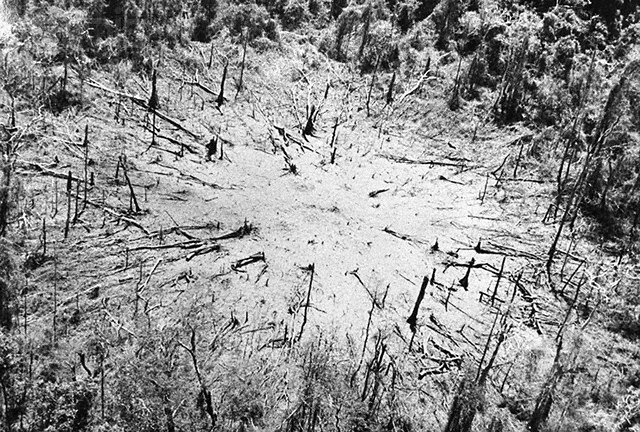 Three weeks later, Cam Rahn Bay was hit by rockets, then overrun. 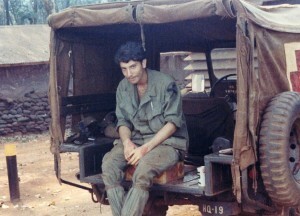 Once inside the hospital, VC ran from bed to bed, killing the helpless GIs. During the assault, I wondered why the Giant Voice loud speaker, tested daily, had not been activated? At the next days briefing, I learned that the officer in charge of the Voice had been shacked up with an Army nurse; his subordinates did not want to disturb them. Fortunately, at the weather station I was armed to the teeth. About mid-way through my tour an officers club annex was built over looking the South China Sea. It had a small bar, and a few nights a week served grilled steak with baked potato. Whenever I had an evening off, I enjoyed watching the South China Sea to the east, and the sun setting in the west. One evening the officers in my hootch were required to fill sand bags to provide better protection against mortar or rocket attacks. As the sun was setting, I looked toward the mountains, and I sensed a presence that I have not felt since. Perhaps it was Vietnam’s ancestral spirits, or French soldiers ghosts, or the spirits of Japanese troops, once stationed here as well. I had the sense that we American’s too were just a passing monsoon rain, whose presence would fade into memory, like the changing weather, and its seasons. 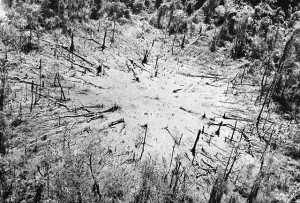 * From 1967 to 1972 Air Force C130 cargo planes illegally seeded clouds with silver iodide in areas of Laos, South Vietnam and North Vietnam near and around the Ho chi Minh trail, to increase rainfall, and extend the season of the southwest monsoon by 30-45 days. The secret campaign was known as Operation Popeye.